Like her novels, Feel Free, Smith's massive new essay collection, is downright polyamorous in its objects of fascination: Smith here writes about Brexit and Facebook, the dancing Nicholas Brothers and Jay-Z, the art of 18th-century German portraitist Balthasar Denner and the novels of Paula Fox and Ursula K. Le Guin, among many, many other topics. To quote a question Smith says she asks herself whenever she meets someone whose interests are deep, wide-ranging and, therefore, intimidating: "How does she find the time?" And, how, on earth, will we readers find the time to dig into all these subjects with her? Smith's title, Feel Free, suggests a sane approach: We readers should "feel free" to follow our own curiosities, pluck essays out of different sections and skim or skip others. Most of these essays have been published previously; and most, but not all, are worth reading. Less would have been more here. For instance, "Meet Justin Bieber!" — which imagines a meeting between the Biebs and the philosopher Martin Buber falls into what I think of as the "empty cereal grain" category of writing: in other words, forgettable filler often used to bulk up collections like this one. A good deal of what remains, however, is smart and distinctive. Smith is particularly sharp on topics of art and identity, which become linked in an essay called, "The I Who Is Not Me." I know that I stole Portnoy's liberties long ago. ... He is part of the reason, when I write, that I do not try to create positive black role models for my black readers, and more generally have no interest in conjuring ideal humans for my readers to emulate. I didn't come to love Joni Mitchell by knowing anything more about her, or understanding what an open-tuned guitar is, or even by sitting down and forcing myself to listen and re-listen to her songs. I hated Joni Mitchell — and then I loved her. Her voice did nothing for me — until the day it undid me completely. It's a rare piece of critical writing that can contemplate a great work of art and deepen our understanding of it, without "solving" its mysteries. This essay and some of the others in Feel Free have that open-ended power. When Zadie Smith is writing at her best, she, like Joni Mitchell, is free, unfettered and alive. This is FRESH AIR. Zadie Smith is not only an award-winning novelist, she's a regular essayist for The New York Review of Books, The Guardian and Harper's. She published her first essay collection called "Changing My Mind" in 2009. She has a new collection called "Feel Free." Our book critic Maureen Corrigan has a review. MAUREEN CORRIGAN, BYLINE: Zadie Smith is justly celebrated for her chameleon-like gifts as a writer. In novels like "White Teeth" and "On Beauty," she's ventured deeply into the lives of a multiracial assortment of immigrants to Great Britain and the United States. Her characters run the gamut from aspirational working-class kids, self-important academics, pensioners, young dancers and to date, one Chinese Jewish Londoner with a fixation on Golden Age Hollywood. Like her novels, "Feel Free," Smith's massive new essay collection, is downright polyamorous in its objects of fascination. Smith here writes about Brexit and Facebook, the Nicholas Brothers and Jay-Z, the art of the 18th century German portraitist Balthasar Denner and the novels of Paula Fox and Ursula Le Guin, among many, many other topics. To quote a question Smith says she asks herself whenever she meets someone whose interests are deep, wide-ranging and therefore intimidating, how did she find the time? And how on earth will we readers find the time to dig into all these subjects with her? 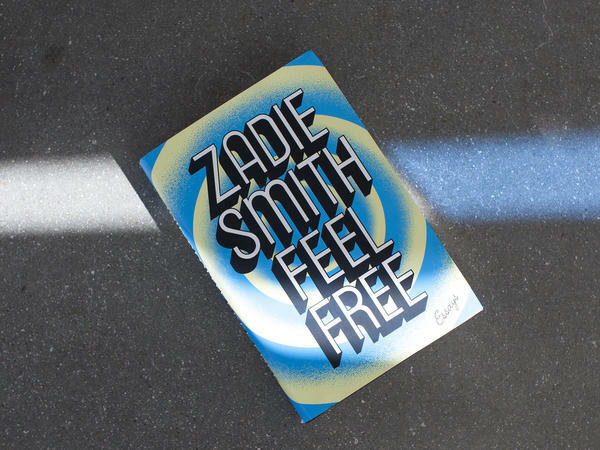 Smith's title "Feel Free" suggests a sane approach. We readers should feel free to follow our own curiosities, pluck essays out of different sections and skim or skip others. Most of these essays have been published previously and most but not all are worth reading. Less would have been more here. For instance, "Meet Justin Bieber!," which imagines a meeting between the Biebs and the philosopher Martin Buber, falls into what I think of as the empty cereal grain category of writing - in other words, forgettable filler often used to bulk up collections like this one. Other essays like "Generation Why?," a 2010 review of The Social Network joined with a rant against the only connect ethos of Facebook, feel outdated. Certainly as of last year, we have worse things to fear from Facebook, like Russian interference in our elections, than the shallowness of its likes and friendships. A good deal of what remains, however, is smart and distinctive. Smith is particularly sharp on topics of art and identity, which become linked in an essay called "The I Who Is Not Me." This piece originally was a lecture on Philip Roth that Smith presented in 2016 at the Newark Public Library. Mulling over that most over-plowed of subjects, the autobiographical element in Roth's fiction, Smith pays homage to the liberating effect of Roth's ingeniousness and offensiveness. She says, (reading) I know that I stole Portnoy's liberties long ago. He is part of the reason when I write that I do not try to create positive black role models for my black readers and more generally, have no interest in conjuring ideal humans for my readers to emulate. Smith's exquisite essay on Joni Mitchell called "Some Notes On Attunement" belongs alongside other essays on art by the likes of Matthew Arnold and Susan Sontag. In fact, Smith dramatizes what Arnold meant by his signature phrase the free play of the mind as she darts around considering her sudden conversion experience with Joni Mitchell's masterpiece "Blue." Smith tells us, (reading) it's not even really the content of the music that interests me here. It's the transformation of the listening. I didn't come to love Joni Mitchell by knowing anything more about her or understanding what an open-tuned guitar is or even by sitting down and forcing myself to listen and re-listen to her songs. I hated Joni Mitchell and then I loved her. Her voice did nothing for me until the day it undid me completely. It's a rare piece of critical writing that can contemplate a great work of art and deepen our understanding of it without solving its mysteries. This essay and some of the others in "Feel Free" have that open-ended power. When Zadie Smith is writing at her best, she, like Joni Mitchell, is free, unfettered and alive. DAVIES: Maureen Corrigan teaches literature at Georgetown University. She reviewed Zadie Smith's new collection of essays titled "Feel Free." On tomorrow's show, actor Richard Jenkins. RICHARD JENKINS: (As Giles) Have you always been alone? Did you ever have someone? DAVIES: That's Jenkins talking with the aquatic creature in the film "The Shape Of Water," a role that's earned him an Oscar nomination for supporting actor. Jenkins' other films include "The Visitor," "Flirting with Disaster," "Bone Tomahawk" and the TV miniseries "Six Feet Under" and "Olive Kitteridge." Hope you can join us. FRESH AIR's executive producer is Danny Miller. Our interviews and reviews are produced and edited by Amy Salit, Phyllis Myers, Sam Briger, Lauren Krenzel, Heidi Saman, Therese Madden, Mooj Zadie, Thea Chaloner and Seth Kelley. For Terry Gross, I'm Dave Davies. (SOUNDBITE OF JONI MITHCELL SONG, "IN FRANCE THEY KISS ON MAIN STREET") Transcript provided by NPR, Copyright NPR.